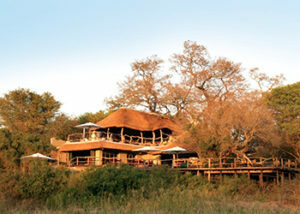 Named after Colonel Stephenson Hamilton, who was instrumental in establishing the world famous Kruger National Park, Hamiltons Tented Camp reflects a safari adventure of the early 1900s, where grace and style were the epitome of luxurious living. 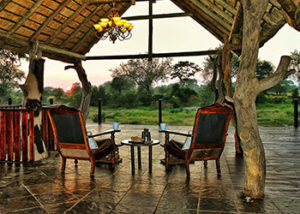 Following the fine tradition of luxury in true “out of Africa” style, the journey into a bygone era inspires one to experience the safari. 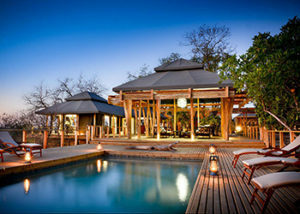 Hamiltons Tented Camp allows indulgence in pure luxury, combined with the sounds and smells of the African bush. 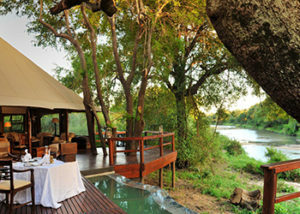 All 6 tented suites have a romantic slipper bath and outdoor shower overlooking the Ngwenyeni Dam, and a private veranda. 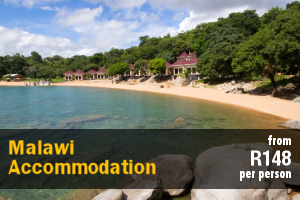 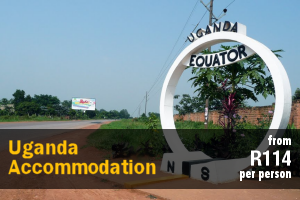 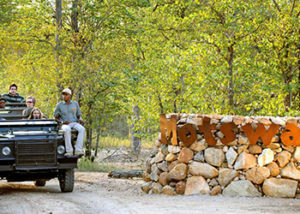 Timber walkways, open tented lounge, butler service and personalised cuisine. 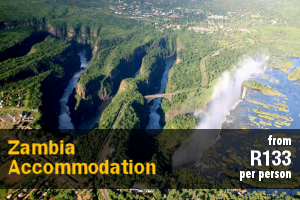 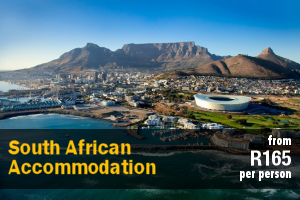 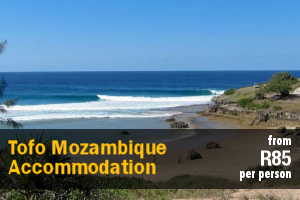 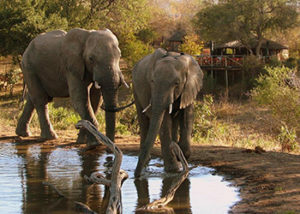 All suites have en-suite bathrooms with outdoor showers, Mosquito nets, air-conditioning and a linked intercom service. 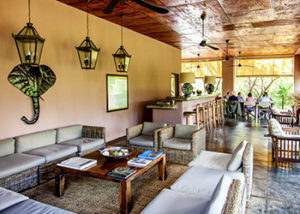 Children over the age of 8 years are welcome and are accommodated in their own rooms. 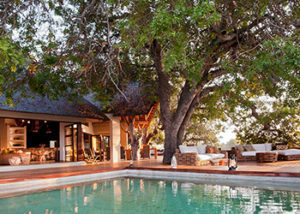 Africa on Foot Camp has 5 chalets ensuring an intimate and personal safari experience. 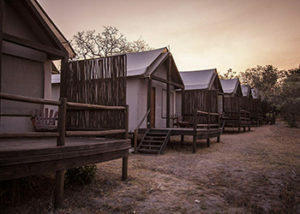 All chalets are of the same standard with en-suite bathrooms, mosquito nets, a clothing rack, bedside tables, solar powered lamps, and bathroom toiletries. 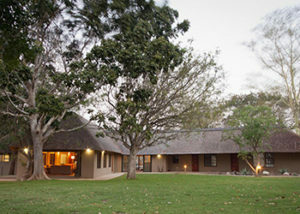 Two of the chalets are family units, which have 2 adjoining bedrooms and room for 4 people in double and twin beds. 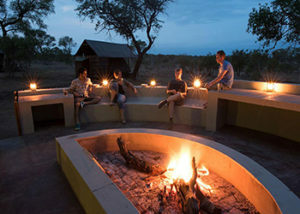 Guests can relax at the splash pool and enjoy a traditional South African braai around the campfire area in the boma. 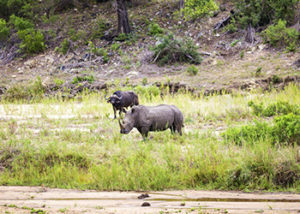 On a walking safari guests will be led by experienced and professional game rangers through a wildlife area rich in game including lion, leopard, elephant, rhino, buffalo as well as hyena, hippo, giraffe, zebra and a whole host of other wildlife. 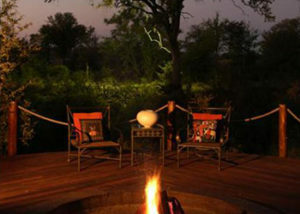 In addition to walking safaris, Big-5 game- and night drives are offered allowing guests to participate in a full spectrum of safari activities. 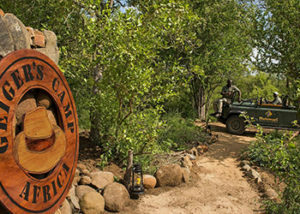 Geiger’s Camp is the proud new addition to Motswari Private Game Reserve. 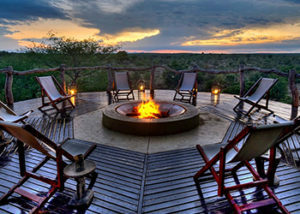 Perched on a ridge with panoramic views of Big 5 terrain, this luxury safari camp fuses tasteful elegance with historic, rustic charm. 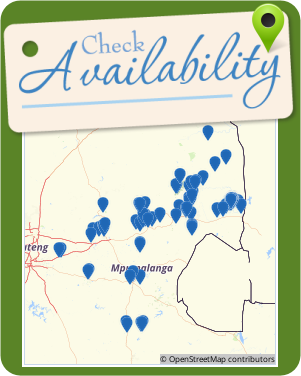 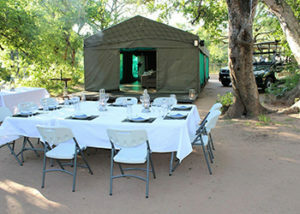 Your private bush camp within the Greater Kruger National Park. 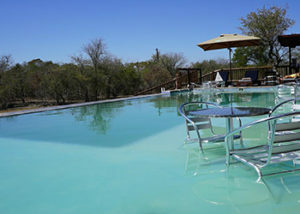 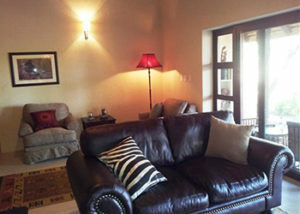 Watch some of the Big 5 while relaxing on the swimming pool or on the patio. 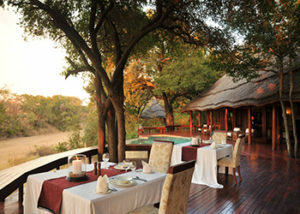 Open to the Kruger National Park and playing host to Africa’s Big Five is Motswari Private Game Reserve. 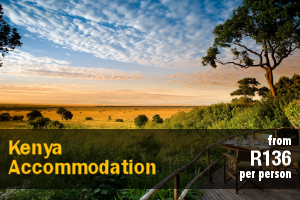 One of South Africa’s jewels nestled within the Timbavati Nature Reserve, this family-owned and operated 4 Star luxury safari lodge prides itself on its warm atmosphere and luxurious accommodation. 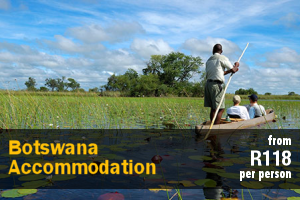 Simbavati River Lodge is an intimate and friendly camp built on the banks of the Nhlaralumi River in the heart of the world famous Timbavati Private Nature Reserve. 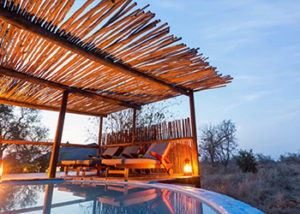 Shaded by age old Jackalberry and Leadwood trees, Simbavati is warm and welcoming, with a generous contemporary design and accommodation for guests in luxury tented rooms or thatched chalets. 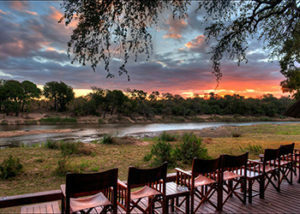 Sitting majestically on the banks of a dry river bed, Kambaku River Sands entices the guest to sit back and relax. 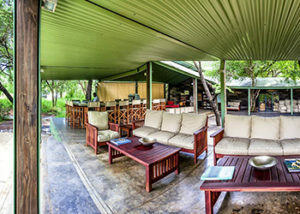 This unfenced camp is perfectly situated on the river bend allowing animals to move freely around and through the camp, giving an up close and personal experience of elephant, buffalo and bushbuck to name but a few. 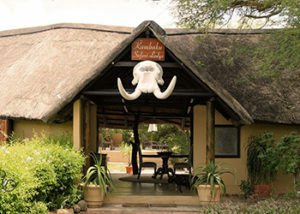 Shalati Safari Camp is a resort that offers full board lodging, and is located in the Manyeleti Game Reserve, Kruger National Park. 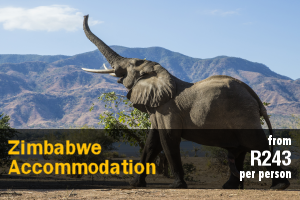 This safari camp is ideal for guests looking for a comfortable outdoor breakaway, with an option of viewing the Big 5 on-site and close by. 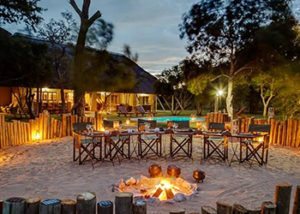 nDzuti Safari Camp is an affordable traditional safari camp providing excellent game viewing and unpretentious hospitality in Klaserie Game Reserve. 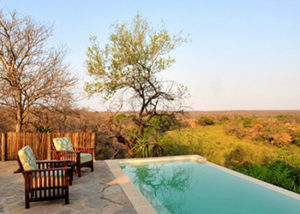 Wildlife Encounters operate the charming nDzuti and offer traditional Big 5 safaris for only eight guests at any one time, on a large and productive area within the Klaserie Private Game Reserve which is part of Greater Kruger Park.